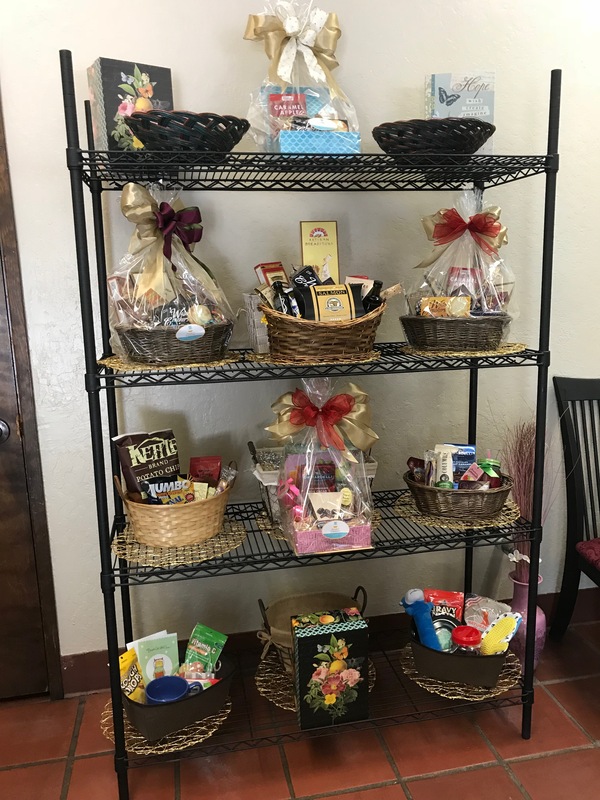 Basket Caravan, located on 311B West Weber Avenue, is a shop specializing in custom-made, gourmet gift baskets. Although the storefront may be small, each individual basket is overflowing with creativity and content. Lisa Chalk-Frausto, Basket Caravan’s owner, decided to open a storefront after exclusively taking orders through Basket Caravan’s website. 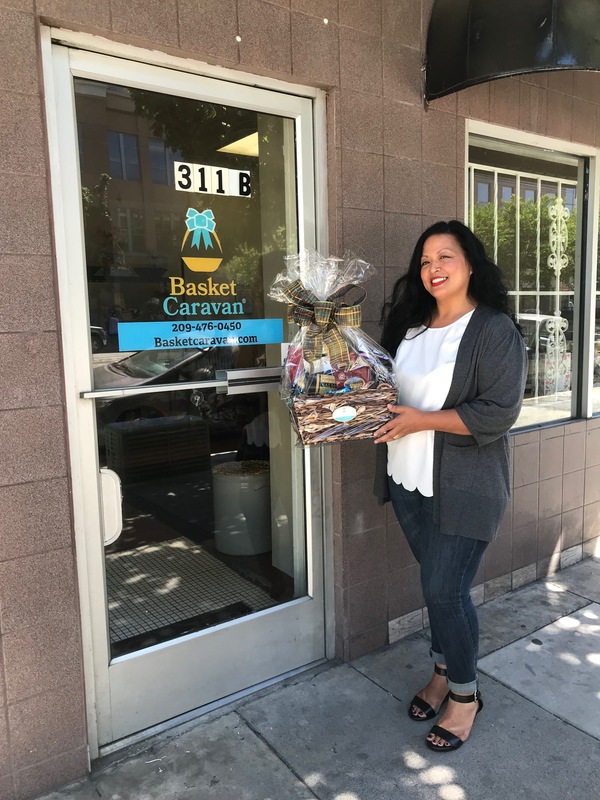 In response to high demand, Lisa decided to open Basket Caravan’s current Downtown Stockton brick and mortar space in late March of this year. 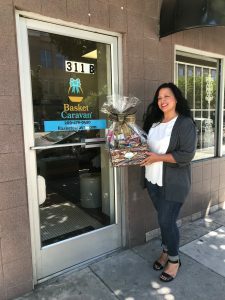 Basket Caravan is the only gift basket service in Downtown Stockton. 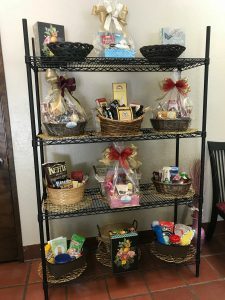 The gift baskets are completely customizable, and may feature anything from chocolate, healthy treats, or coffee, to aromatherapy spa products! 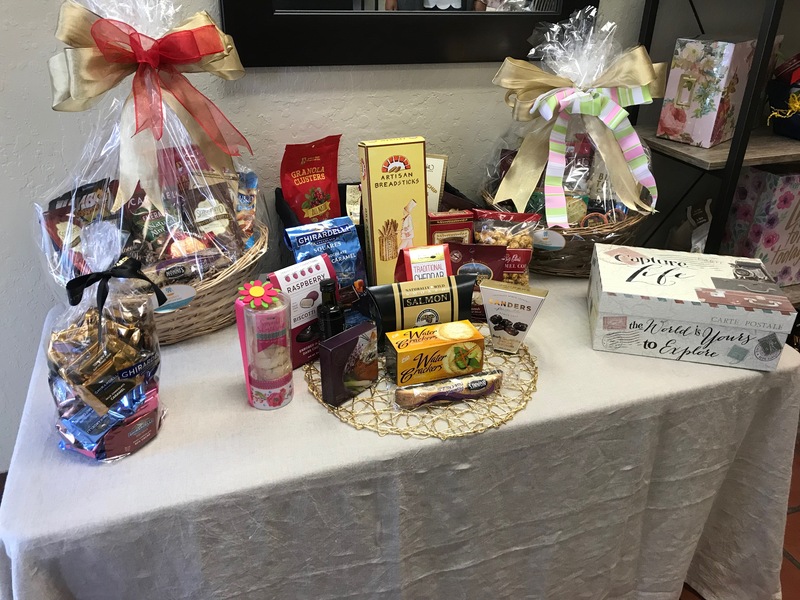 Lisa partners with other businesses in the area to include local products in her baskets, such as jam, coffee, oil, and sunflower seeds. In fact, she’s working on the creation of “209” baskets to be released in the near future that will contain and feature local products exclusively. Why is Downtown Stockton a Great Location for Basket Caravan? According to Lisa, “the location is perfect.” Many people who were previously searching for gift shops in Downtown Stockton now have access to unique gifts that are perfect for every occasion. Lisa often has last-minute shoppers who drop by in search of the perfect gift for their family members or friends. Because Lisa has also lived in Stockton for over 40 years, the city has a special place in her heart and she, too, wishes to dispel the myth that Downtown Stockton is a place to be feared. In reality, she believes that in Downtown Stockton, “people are very nice and friendly.” She especially enjoys the atmosphere of live music events that take place in the area. Lisa also loves “watching the new businesses [in Downtown Stockton] start to prosper and making it like 20 years ago where it was booming. [She]’d like to see it happen again.” Just in the few months since Basket Caravan opened, Lisa has noticed a marked increase in Downtown Stockton foot-traffic and is enthusiastic about the future. For more information or to place an order, visit Basket Caravan’s Website, Facebook, Instagram, or Twitter.